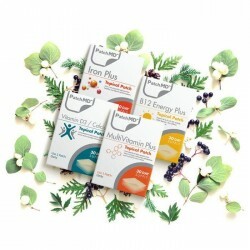 Bariatric Vitamin Packages were developed with those who have undergone Bariatric Surgery. The vitamin groupings contain essential vitamin and mineral combinations necessary for those whom have limited gastric absorption this also includes those with Crohn's, Colitis, Celiac or any other ailment that reduces absorption of nutrients in the digestive system. Patch vitamins are absorbed through the skin into the circulatory system where they can immediately benefit the needs of the body. They are a also great alternative for those who have difficulty taking pills!